Forest Watch police officers will be conducting operations throughout the New Forest during the coming months to identify and target poachers. Sergeant Louise Hubble heads up the Forest Watch partnership project to tackle rural community issues including wildlife and environmental crime in the New Forest. The initiative is led by the New Forest National Park Authority, Hampshire Constabulary and partners to look at everything from fly-tipping to poaching, arson and nuisance vehicles. Forest Watch also relies on expertise from the Environment Agency, Forestry Commission, Natural England, Hampshire Fire and Rescue Service, National Farmers Union and New Forest District Council. Sgt Hubble said this time of year traditionally sees an increase in poaching throughout the countryside. Hare coursing begins once the crops have been harvested, game birds are plentiful as the shooting season approaches, fishing lakes are well stocked and deer become a target on the approach to the festive season. She said: ‘Poaching can no longer be portrayed as the romantic image of one man and his dog taking a rabbit or a pheasant for the pot. Modern day poachers tend to work in organised gangs, often causing damage with 4x4’s and have a number of dogs and weapons including firearms. 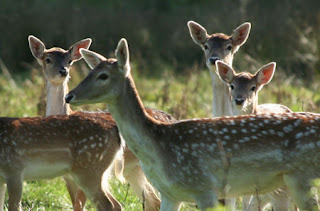 ‘They have scant regard for the countryside and no regard for the wildlife they injure or the land that they destroy. They seldom consider animal welfare issues. It is rare that animals are poached merely for food and it is more often the case that animals are pursued for sport or financial gain. Sgt Hubble is asking people who see anything suspicious to contact the police on 101 (non-emergency) or 999 (emergency). However she said landowners, game keepers and members of the public should be bear in mind that poachers may well have firearms, weapons and dogs and should consider their own welfare. She urged people to record the location, time, date, description and registration number of any vehicles, and descriptions of any people and dogs present and pass them on to the police. To report any non-emergency issues in the New Forest dial 101.